At the annual dinner of the Vintage Automobile Society of the East Central Triad and Organization of Motoring Enthusiasts, well known car collector Rigdon Fink makes the announcement that he will be giving away his multi-million dollar car collection to one of the members in attendance. However, before he can name the lucky recipient, Fink is found dead.... murdered at the hand of one of the attendees. 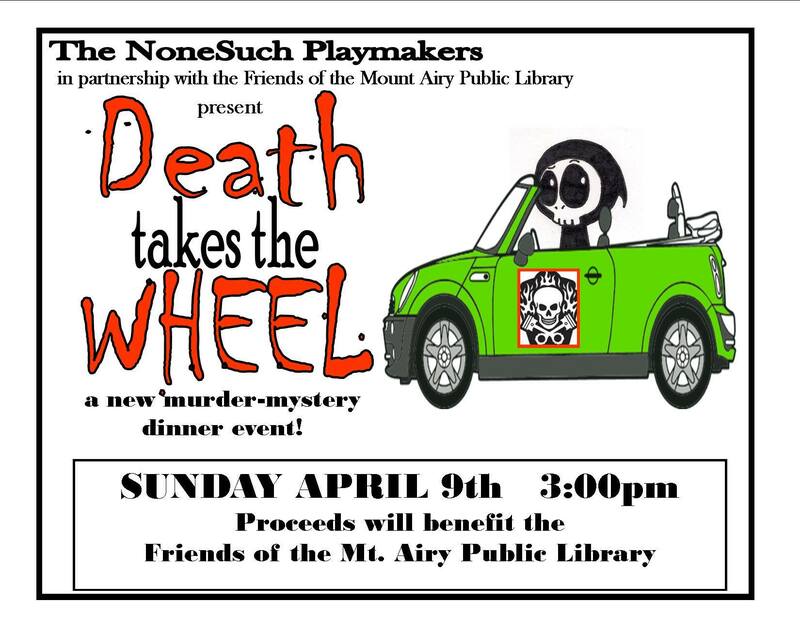 This new who-done-it production will require the help of our audience to unravel the mystery as "Death Takes the Wheel!"